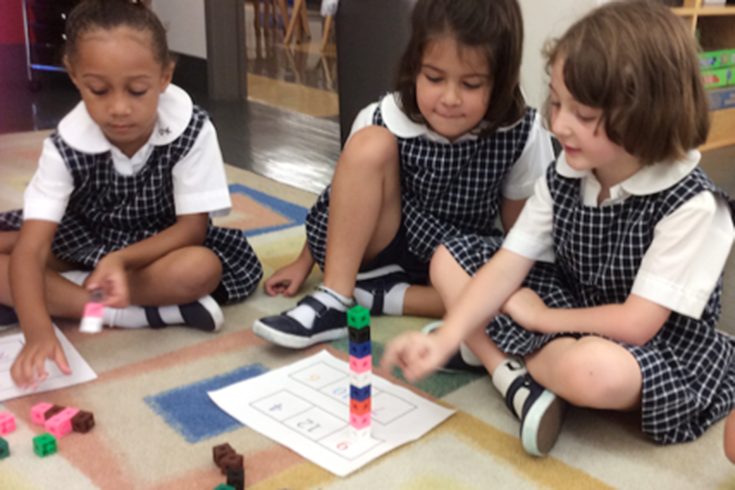 Kindergarten has a whole group shared reading time where the girls focus on and discuss different elements, such as setting, characters, plot, sequence, and new vocabulary. 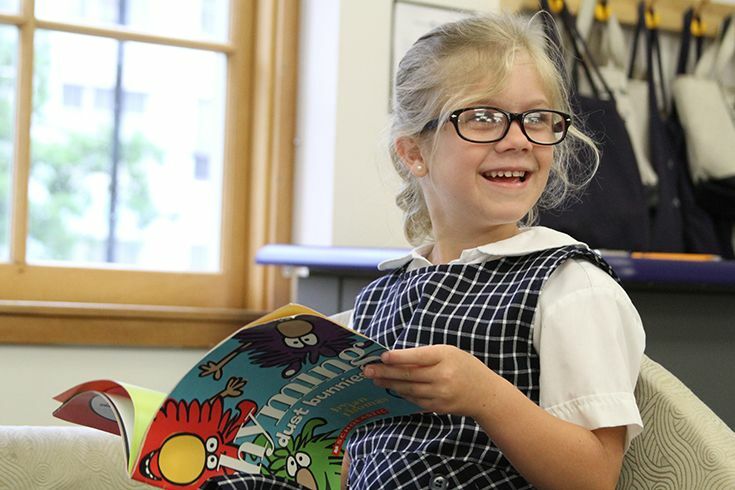 Comprehension and literacy instruction are further enhanced during reading. 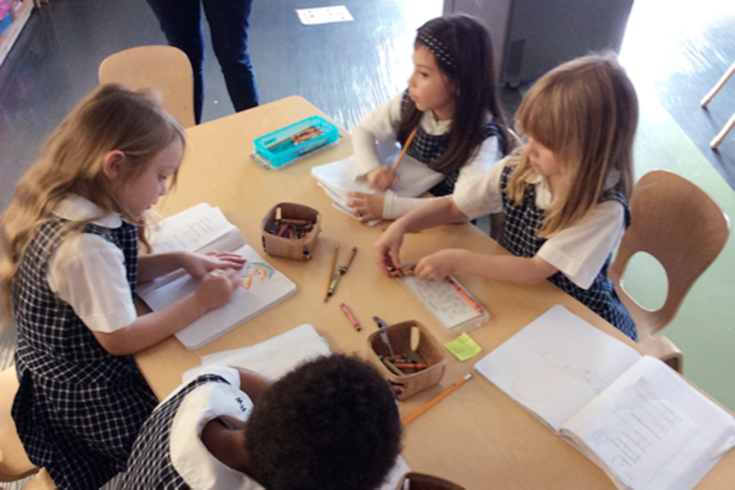 During our small group time we may do guided reading groups, phonics, or handwriting. 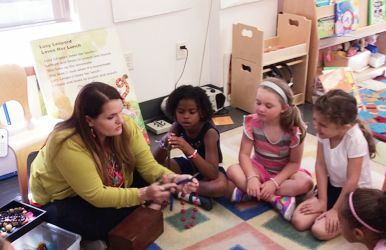 We use the Envision math series to teach math with a hands-on approach and incorporate many manipulates. Part of our morning routine is calendar where we work on counting, number recognition, and patterns to name a few. Students work with partners during center time where they rotate through six different centers. These are Reading/Listening, Writing, Math, Phonics, Sight Words, and Science/Social Studies. Students have many choices at each center to practice new skills or review old ones. 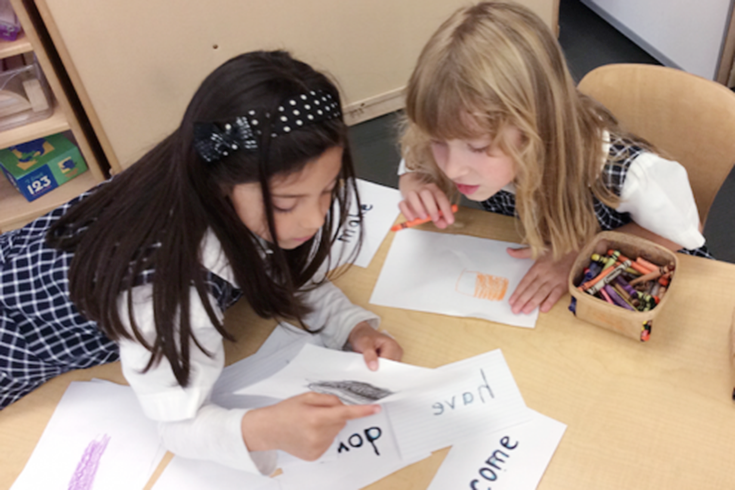 Every day we have a shared writing block where we practice new sight words and learn about language arts. We learn about sentence structure including nouns, verbs, and what a sentence consists of. Students apply their knowledge of what they have learned through their journaling. Working with our guidance counselor through the Ophelia program, we discussed friendship and what a good friend looks like. 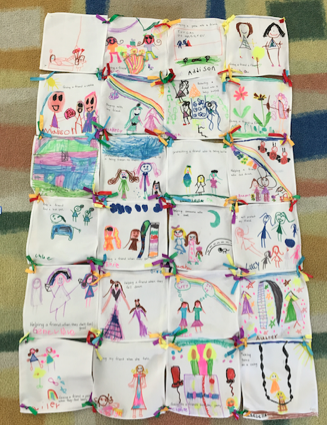 As an extension to this we created a friendship quilt where students drew a picture of what friendship looks like to them. 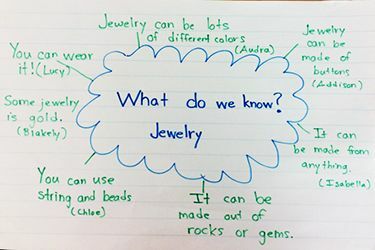 We noticed the Kindergarten girls were continuously making jewelry in studio and for morning invitations with plain white paper, so we decided to study and learn all about jewelry-making and cultural facts about it. We made a web of what we knew about jewelry. We also made a web of questions of what we would like to learn through this project. The girls came up with some fantastic questions! We watched a video together as a class of the process and steps of jewelry making. 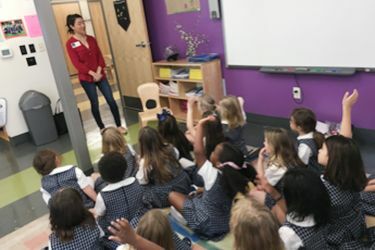 During Phase Two of our project, we had a special guest who was a jewelry maker (and an Ursuline alumna) come in and help us answer some of the questions the girls had. We learned about jewelry from different parts of the world and compared the differences from jewelry we are used to seeing. 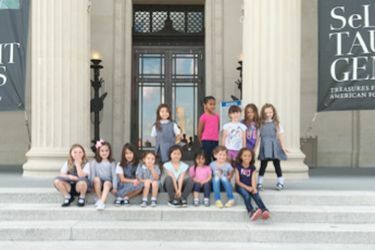 The girls enjoyed learning about the cultural history behind all of the jewelry so much we went on a field trip to the New Orleans Museum of Art to view the displayed jewelry they had from all around the world. To end our jewelry-making project, we had a final guest speaker come in from a local bead shop to talk about different tools, materials, supplies, and ideas for future jewelry making. The girls have produced all sorts of different jewelry in the process of this project and are proud to display it in our Early Childhood building.